Get approved with in-house financing. There are many methods of financing, and all have advantages, but some are simpler than others. Likewise, some require an involved process of credit checking and take more time to complete. In-house financing is one of the simpler methods, as it eliminates a third-party financer. If you are unfamiliar with in-house financing, it is when the seller extends you, the customer, a loan necessary to make your purchase. It keeps the business interaction between the buyer and seller. While this is not a common practice, many businesses in the automobile industry take to this model. Why? Because it is advantageous for our consumers. We want you to feel comfortable with your purchase and dealer, so we handle the financing ourselves. Without the involvement of a third-party, the business is kept between you and the dealer. This makes for a smooth business transaction. This model also helps establish a relationship with the dealership. You are not just going to be purchasing the car and driving away to never see the dealer again. Instead, your relationship will continue, and when it comes to cars and finances, you want to be in an ongoing relationship that you can trust. In-house financing means you and the dealer will determine a financial arrangement to ensure you can make your monthly payments. While credit checks are taken into consideration, there is much more taken into account than simply your credit score. So even if you have bad credit, the experience is so personal that it is likely you can come to an arrangement with the dealer and drive away from the lot with a car. If a third-party lender were to be involved, then you would go to the lot and select a car of your choosing, and then figure out with the dealer how to pay for it. When it comes to in-house financing, you and the dealer will establish what you can afford before you set out to pick a car. By having this realistic approach to the purchasing process, you won't be able to get ahead of yourself. This approach will allow you to choose a car that you can absolutely afford and won't have trouble making payments on as the months go by. Just because you have a price range doesn't mean the dealer won't be accommodating. In-house financing dealerships receive many applications, which allows them to be more flexible in their approach. By default, this provides you some flexibility in your selection and monthly payment amount. Since the lot doesn't have to negotiate with banks, it opens the door for more financing possibilities. You aren't stuck in a corner with limited options with an in-house financing model. In fact you have more choices than you imagined. You should also ask your dealership if they report to credit bureaus. There are three credit bureaus to which they will report - Equifax, Experian, and TransUnion. In-house financing has many affiliated benefits and can allow you to get the car you want, putting you in a position in which you can afford the monthly payments, all while helping to boost your credit score. Talk to a dealer that specializes in-house financing and how you can drive away with that car you have had your eye on. Very helpful! I now have a better understanding and have a better grasp of what I am doing now. I’m looking through your business model and have a question? I’m currently going into bankruptcy, does your model still work with this situation? In the event that a potential customer has an active bankruptcy, it is ultimately up to their trustee’s discretion as to whether or not they will allow their client to take on new debt. If you are interested in purchasing a vehicle, We recommend that you coordinate with your trustee before pursuing a vehicle through DriveTime. If you have any additional questions on this matter, please feel free to contact your local DriveTime dealership for more information. 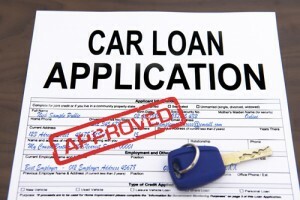 Do your car loans incorporate life insurance into the financing to cover the cost of the vehicle? No, loans for vehicles sold through DriveTime do not include life insurance. I am currently shopping for a car. I was approved by DriveTime. However, I have a unique situation. I am currently unemployed and receiving unemployment benefits. However, without a vehicle (I haven’t had a car since July), going to job interviews and being able to have reliable transportation to and from a potential job is extremely hard. With my approval from DriveTime, and after reading this, would I be able to use my unemployment benefits to purchase and make payments on a vehicle? Thank you for reaching out. We would definitely like to work with you and help you get into a vehicle. At your earliest convenience, please contact our sales team at (800) 965-8042 so we may review your situation with you personally and try to get you on the road. Please know that a valid driver’s license is required in order to purchase a vehicle from our dealerships. If you mean to say that you only have a state I.D. and not a license, unfortunately we would not be able to sell you a vehicle unless you were to find a third party with a license that is willing to cosign on your loan. If you have any further questions about what is needed to get approved through DriveTime, please feel free to contact your local DriveTime dealership. I wanted to find out how to get out of my current car and into something different if my loan is not paid off yet? I would strongly recommend reaching out to your local DriveTime dealership if you would like additional information on this matter. I have a complicated situation, that I’m just trying to do the right thing for and survive. Nearly ten years ago I was charged with a DUI, I had been drugged and attacked, but escaped only to get in an accident when my master cylinder quit leaving me with no brakes, no gas, nothing. I was taken into custody with severe blunt force trauma to my head. I quickly was bailed out but didn’t attend a DMV hearing within ten days. In court I was vacated of the charges, which the DMV made entry of but is asking me to take classes. In order to take the classes the court is supposed to provide you with the registration paperwork and contract for reinstating you license upon completion. Since the court does not find me guilty, they do not have paperwork or require me to take these classes. I cannot live like this any longer and have been approved for a vehicle loan. What I want to know is how to get insurance, as the responsible thing to do would be such, in order to drive my vehicle? I am 30+ years of age, wanting to take the precauations necessary to ensure the proper care be given in the event of an accident, and can no longer allow the lack of effort on the DMV’s part, continue to hijack my life, not driving anywhere. Where do I get insurance without a valid drivers license? Thank you for taking the time to reach out. I am sorry to hear that all of this occurred and applaud you for getting everything moving in a more positive direction. I would love the opportunity to be able to assist, but as you stated this is a very complicated situation. Unfortunately, I am not able to provide this sort of advice. I very much hope that you are able to find the solution to this situation and wish you luck. Thank you for reaching out to us! I encourage you to reach out to my Internet Sales Team at (888)418-1212. I want to know if I could trade in my present vehicle I purchase through drivetime to another vehicle. Had my vehicle for 2 years and want a suv vehicle. 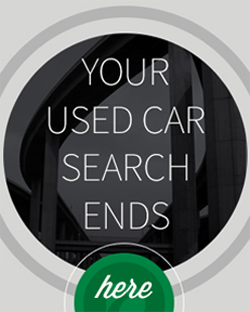 Thank you for reaching out to us regarding trading in your current DriveTime vehicle. Any DriveTime customer can trade in their vehicle at anytime and anywhere. If there is a remaining balance due on the account after the trade appraisal amount, DriveTime would not be able to assist with any of the remaining balance. I would encourage you to visit your local DriveTime and a sales representative would be glad to assist you further. I am currently looking for finance for a used vehicle. but I have very poor credit, however I have been on my job for 16 years. Thank you for reaching out to us! Please know that we look to offer options for all of our customers and ensure that they fit their situation. I encourage you to contact my Internet Sales Team for further details at (888)418-1212. I’m currently car shopping. I have been approve through Drive time. I already know my down payment, would that change when I SELECT MY CAR. Thank you for reaching out to us! Please know that when working with down payments, our online pre-approval is provided in a “as low as” format and will not be the same for every car. If you would like more information on the process, please feel free to contact my sales team at (888)418-1212 or chat online on our website. please explain the down payment, I was told that only vehicles that I would get would be last number would be a five,395,495. And it really didn’t matter what vehicle I would like to have. the vehicles you chose would be one I would leave with. Is this true? Thank you for reaching out! 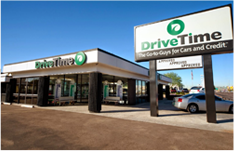 We’re excited to hear that you are interested in becoming a DriveTime customer! ***awesome job with this statement! In reference to your individual approval options, please know that we try our best to provide each of our customers a variety options when they enter our lot. However, it is important to keep in mind that vehicle availability and down payment options are heavily dependent on the customer documentation provided to us during the approval process, along with several other factors. Thanks again for your interest in purchasing through DriveTime. We look forward to working with you! It is important to keep in mind that any pre-approval offers shown through our website are simply intended to give our customers an idea of what they will potentially be approved for if they decide to visit one of our dealerships and submit an approval application.